Do you like to take videos on your iPhone? This can be a great way to connect with your friends and give them a glimpse into your life. The problem is, though, that the iPhone/iPad/iPod video transfer software that most people use—iTunes—can be video limiting, and so you may find yourself unable to do all of the things that you would like to do with the videos that you have on your device. One of the best iPhone to PC video transfer software suites available, iMyFone TunesMate has an easy user interface and tons of functionality. You can transfer many different types of files, including video, photos, music, and your contacts, among many other kinds of data. It can bypass many of the restrictions that you would otherwise face with iTunes. In addition, you can transfer not only between your iPhone and your computer, but you can also transfer between different iOS devices. This is great when you buy a new phone and want to be selective about which files you transfer over to your new device. 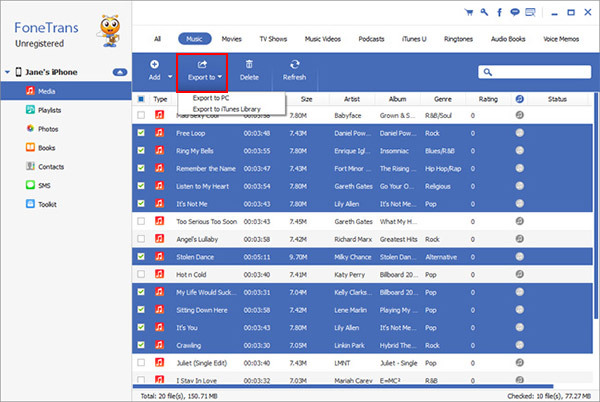 Step 2: You will notice that there are labeled tabs, such as “Photos”, “Music”, and “Videos” near the top. Click “Videos” and wait for the screen to change. 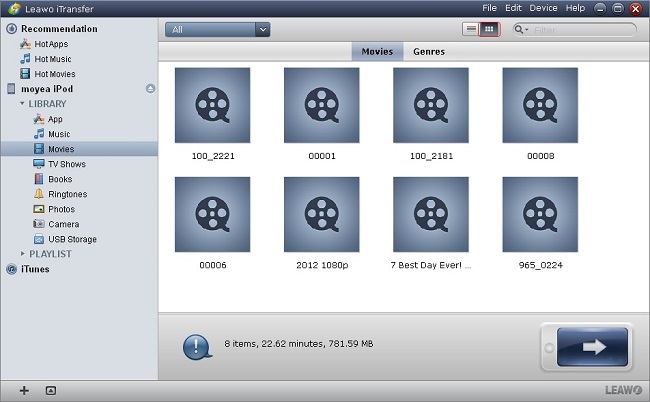 Step 3: Now the screen will be populated with the video files that are on your device. Click to select which ones you want to put on your PC, and then click “export.” It will prompt you to choose a destination folder. 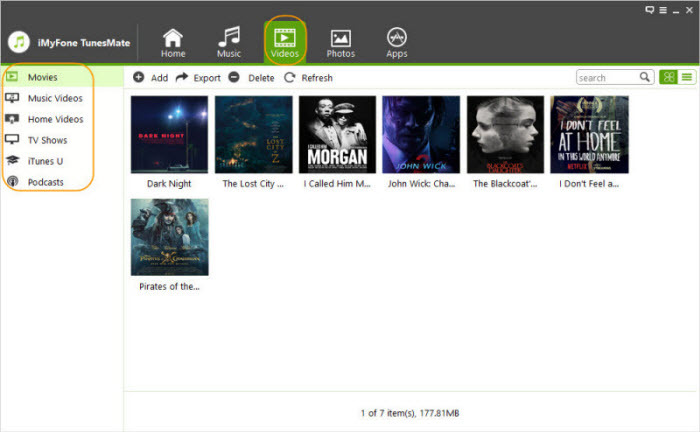 FonePaw lets you transfer many kinds of files, including video and media files. You can even sync them with iTunes, all with just a few easy clicks. 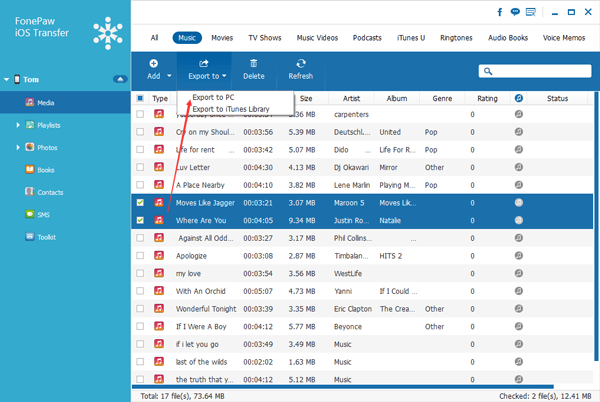 Many users see it as a superior alternative to iTunes. This is a pretty standard device manager application with the ability to transfer video from your device to your PC, from your PC to your device, and also between your various devices. It even has a built-in media player that lets you preview the videos before you transfer them, so that you’re not just blindly choosing files. With Leawo iTransfer, you can send videos back and forth between your PC and iPhone, and you can also back up your video files and restore them later. Unlike iTunes, you can force transfer unsupported file as well, so you can work with any kind of video file in existence. But iTransfer does not provide update for a long time. It is not available for iOS 8 and later. This is freeware, so if you are not looking to pay a lot of money, it may be perfect for you. It not only helps you transfer your videos from your iPhone to your PC, or to other devices, but it can also convert the video for you into a PC-usable format. But it only supports iOS 8 and prior versions.